Are you hard pressed to find a cheap Replacement Engine for your Jeep? We have thousands of good Used Jeep Engines ready to ship! Over 30 years we have forged relations with salvage yards and other points of acquisition and these reserve units with prices exclusively for our clients. You should call and check before you buy a Used Engine. Quotes are FREE, the process is instant and our top service is at no additional charge. When you feel comfortable ordering, we’ll pay for shipping on US deliveries and provide real-time tracking for your convenience. Should you need a Used Jeep Engine for an older model Jeep, our expert techs have Rebuilt Jeep Engines to satisfy even the most crucial budget. 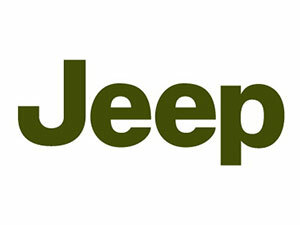 In addition, we have finely tuned Remanufactured Jeep Engines for another lifetime of driving that are ready to ship. Warranties are available and many come with a money-back guarantee on top. Call today and check on yours! Have your VIN and the shop address handy. Welcome to AutoUsedEngines. Our dynamic inventory includes Pre-Owned Jeep Engines that have been properly tested, authenticated and histories verified. Need help after hours? Call and leave a message! The bulk of our inventory is centered around Used Engines sold within Jeep models under the Chrysler or Chrysler/Fiat ownership. This includes late 90s models, like a 4.0 L with 190 horsepower sold in the first generation Grand Cherokee. Then, we provide Used Engines for all Jeep models up to the most recent, like the reliable 2.4 L Tigershark In-line 4 sold with a 2017 Jeep Compass. They’re ready to ship. Did you need one with low mileage for your Jeep? We have well-tested clean running low-mileage Jeep Engines for drivers of the younger model or we can source for the middle-aged models. This age group is usually compromised of good running Used Engines tested to insure original performance specifications. But these have also been authenticated of miles and history, like Used Jeep Trailhawk Engines. This one is usually 3.0 L Diesel Engine with 215 horsepower. The remaining units have been rebuilt or remanufactured to original outputs. The most requested in this age group are 2nd gen Used Jeep Wrangler Engines. They are AMC straight-4 Engines, usually a 2.5 L or 4.0 L PowerTech Engine. If you’re like our existing clients, you’re looking for great deals. Sometimes a Remanufactured Engine can be priced cheaper. It depends upon demand. That’s why you should call and check for pricing. All Pre-owned Engines are handled by in-house engineers with multiple decades of experience – man to machine. This keeps our costs down and allows us to watch quality like a hawk so you can drop, go and forget about repairs. When manufactured defects happen we fix them so you don’t experience those problems again! For example, if you drive a 4th generation Grand Cherokee, you might have experienced some serious engine problems. If your mechanic is suggesting a Replacement Cherokee Engine, he’s probably right. In fact, if yours has been running for a decade you’re doing better than the average driver of this vehicle where engine seizure has been a common experience. To be fair, not all the engines were susceptible to failure. Mostly the problems revolve around a particular 3.7 L Chrysler Engine powering some Grand Cherokee models. It’s crucial that your engine selection involve a Used Engine dealer with experience and knowledge surrounding such defects, so you do not end up repeating its pattern. Remanufacturing can solve these problems. Our automotive techs are here if you have any questions or are looking for something specific. Call and let us know what has been happening while we check availability and pricing. We provide individual and personalized services at no additional charge. It’s not so much about buying a Used Auto Engine as it is getting your life back. We can find the right engine for the budget you must work with and deliver quickly. Which Jeep do you drive?